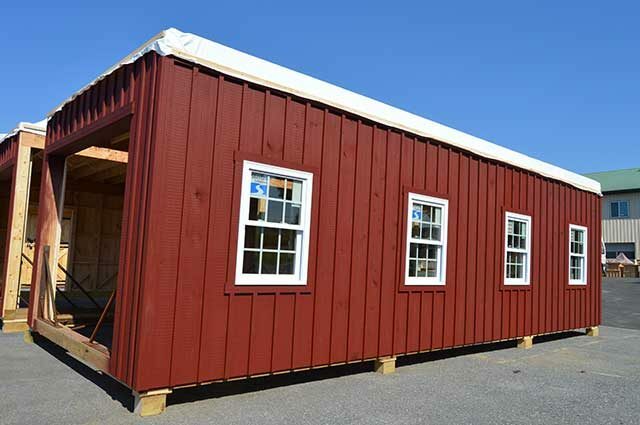 This is a 24×30 double-wide garage with 9′ high walls. 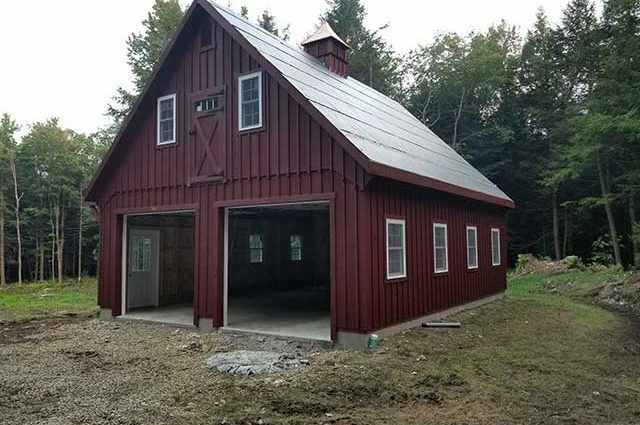 This Whitingham, VT garage was built with white pine board and batten siding painted with red paint by Haley Paint Company. 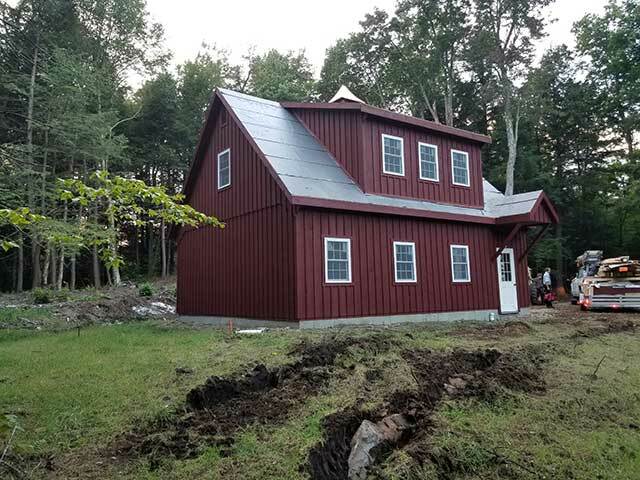 It has 12 pitch rafters and standing seam metal roof by the customer. The windows are double-hung Andersen Silverline windows with screens by Bird-In-Hand Windows. 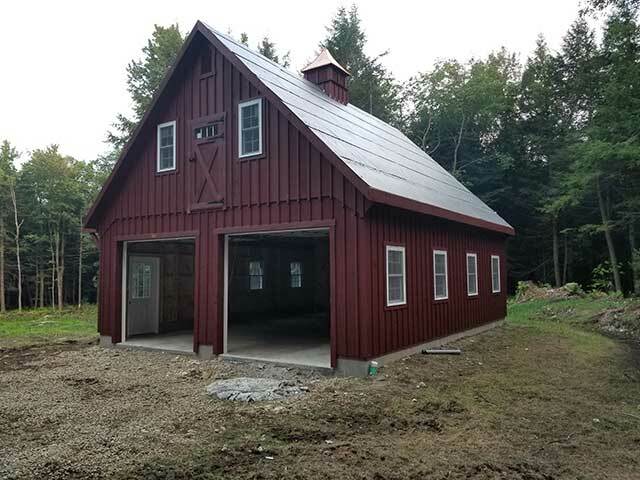 The service door with window is also manufactured by Bird-In-Hand Windows It has 9×8 noninsulated Homestead garage doors with windows by General Doors Corporation and a loft door with transom window by J&N Structures. 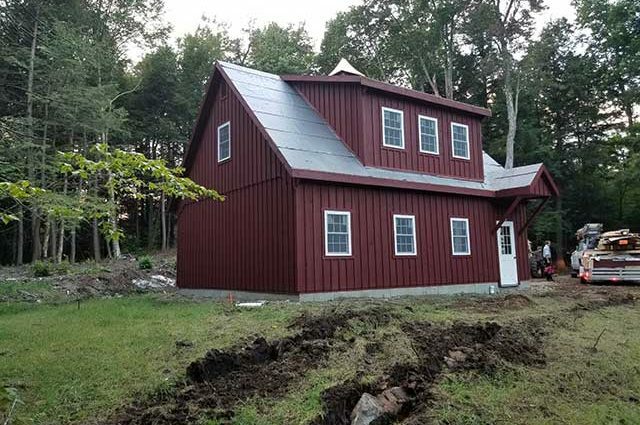 The wood gable vents were built by J&N Structures. Up top of this garage, we added a B-37 Series cupola by Creative Cupolas. 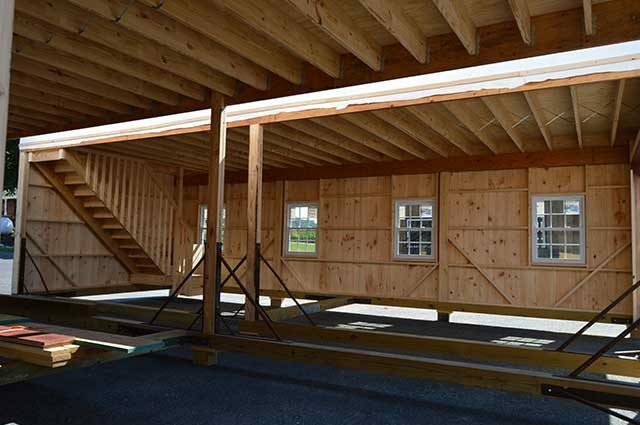 The foundation is a concrete pad and 7″ concrete wall by the customer. 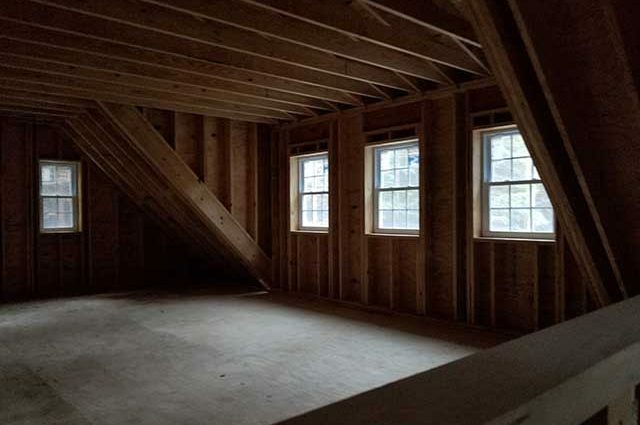 This double-wide 2 car garage has a full loft accessed via stairs. 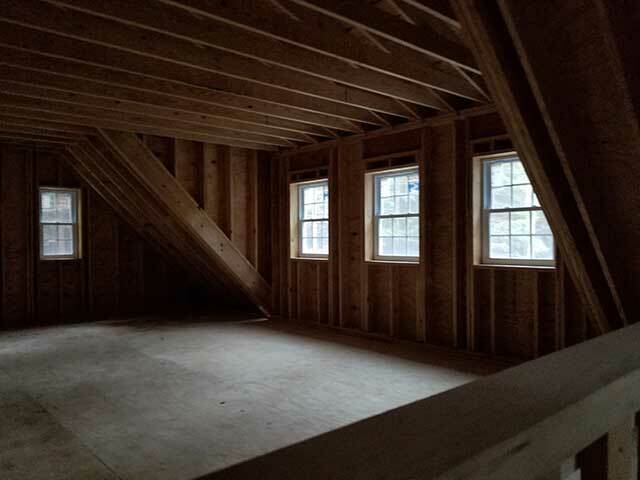 In the loft is a 16′ wide shed dormer. 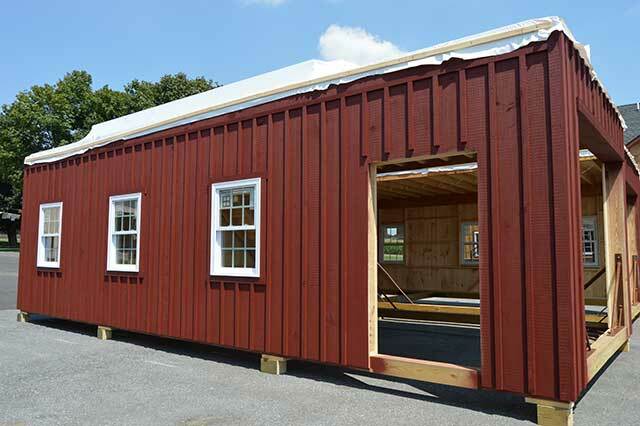 An A-frame dormer covers the service door with window going into the garage. The roof has Henry Eaveguard (Ice & Water Shield) and was built to handle the snow load of the area.